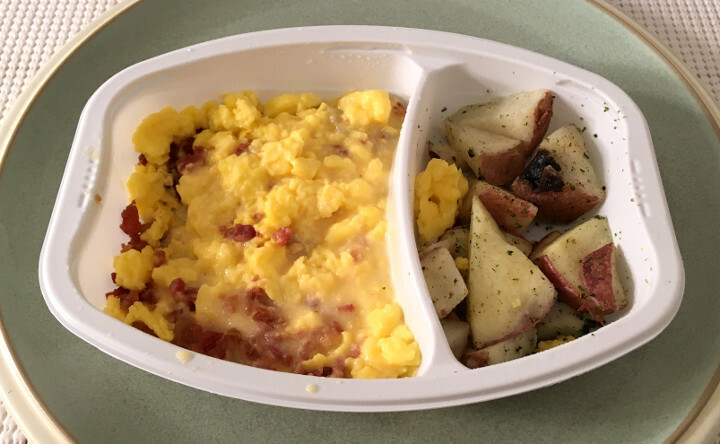 We love a good breakfast scramble here at Freezer Meal Frenzy, and bonus points go out to any brand that can make a tasty scramble that’s not loaded with calories. The Smart Ones Crispy Bacon Scramble is an attempt to create just such an item. First off, this breakfast delivers on at the latter part of that premise — this meal contains only 240 calories (100 from fat). 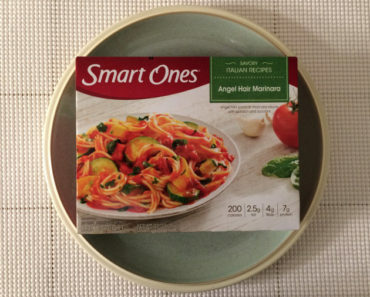 Further, it’s a Weight Watchers product that’s rated at 7 SmartPoints. So now the question is: does that low calorie count come with a small amount of flavor? First off, we want to mention the short cook time here. The instructions say to stick this into the microwave without removing the seal, then cook for two minutes. It’s quite likely you’ll hear a loud pop as the seal bursts open while it’s cooking. Don’t be alarmed; this is part of the process. Once that’s done, pull it out and stir the egg and bacon portion, then stick it back in for another minute. 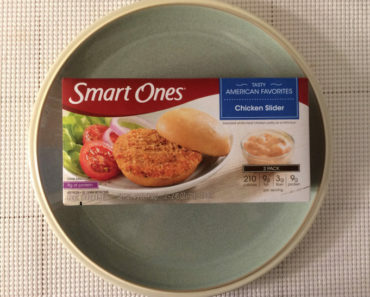 That’s a total of three minutes in the microwave, and we have to admit that short cook times really appeal to us. 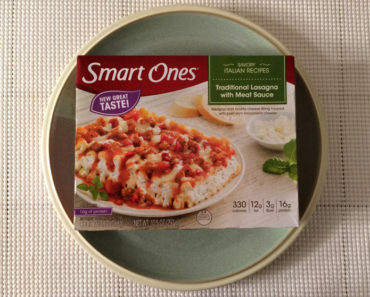 Now, as you can see from the picture above, the scramble part of this frozen meal comes out of the microwave a bit watery. It’s not a good look for a scramble, and it’s not a good consistency either. In fact, these soggy eggs are kind of gross. They also have a bit of a grainy texture to them. This might be partly due to the bacon, but no bacon should be ground so fine that it earns the label “gravelly.” We like big chunks of the stuff. But aside from the size of the pieces, the bacon tastes fine. It’s a little rubbery, but the flavor is there. That’s a good thing, because the eggs really don’t have any flavor to them at all. 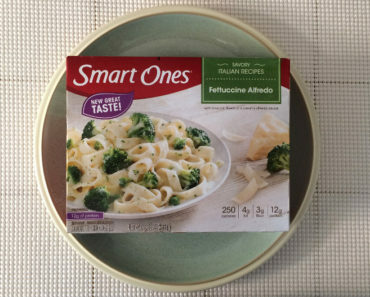 Smart Ones tried to cover up the lack of flavor with a creamy cheese sauce, but this was a mistake. First, the sauce isn’t very good, and second, this is a major contributor to the sogginess factor. A nice layer of melty cheddar would have done this meal a whole world of good. There is a second part to this meal. It comes with a side of potato wedges. Like the eggs, these don’t have much flavor. They’re also very dry. You’ll want to have a glass of liquid on hand — water or milk or something — to wash these down with, or you’re going to suffer a severe case of dry mouth. 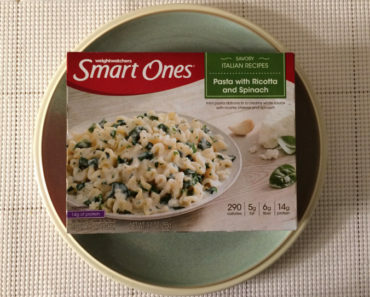 In case that’s hard to read, here’s what it says: “QUALITY PLEDGE: Smart Ones is committed to providing the highest quality experience with our products. We welcome your comments. Please have the package ready when you call.” So if you have a problem with one of their frozen food items, you can call them. 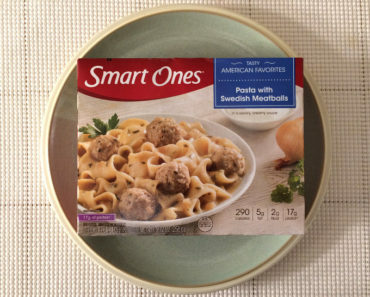 That’s pretty much the lowest common denominator when it comes to quality statements, so this Smart Ones pledge is as mediocre as their frozen food. 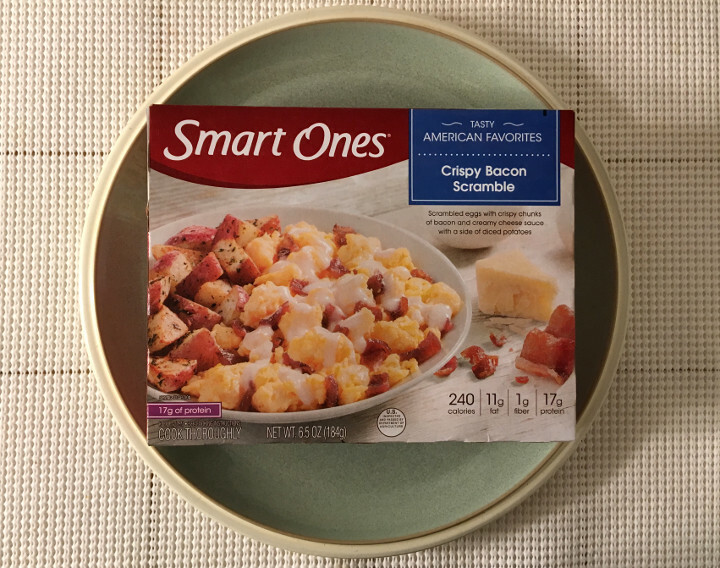 The Smart Ones Crispy Bacon Scramble is a low-calorie, low-flavor frozen breakfast. We appreciate the “low-calorie” part, but the “low-flavor” thing really bums us out. With just a little something extra, like a quality sauce or a better cheese, this would have been much, much better. As is, this is one of those meals where the lack of flavor diminishes the positives of the low calorie count. To learn more about the nutrition content or ingredients in this Smart Ones breakfast scramble, check out our package scans below.